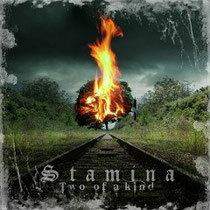 Italian band STAMINA is the brainchild of guitarist and songwriter Luca Sellitto. Since the beginning the band’s aim has been to create a personal style combining a wide range of influences, from melodic metal to progressive metal, hard-rock and fusion. STAMINA recorded two demos, “The demo songs” in 2003 and “Here to stay” in 2004. Both demos gained stunning reviews on some Italian webzines and magazines and the band started to spread its name. In 2007 the band released their debut full-length album "Permanent Damage" by an Italian label Heart Of Steel Records. The response of critic was very good, so that in June 2008 STAMINA was invited to play at the Rock In Flames Festival in Salerno (Italy), supporting the Fabio Lione's band (singer of Rhapsody of fire, Vision Divine). 3 years later, their second album "Two Of A Kind" was released worldwide through a German label Ice Warrior Records (a division of Rock It Up Records). Danish singers Henrik Brockmann (ex Royal Hunt and Evil Masquerade) and Kenny Lubcke (ex Narita, Andre Andersen, studio backing vocalist of Royal Hunt) took part on some tracks as very special guests on the album. The response of critic was also great and in April 2011 the album ranked 30th in the "Top 50 Import disks charts" on a Japanese magazine "BURNN!". 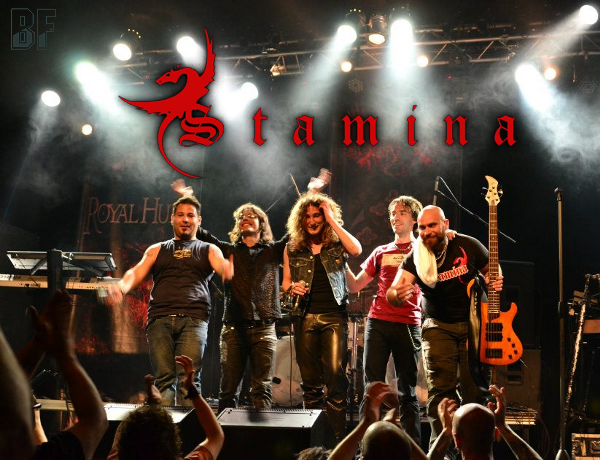 In April/May 2012 STAMINA embarked on their first EUROPEAN TOUR, consisting of 9 shows in 5 different Countries: Germany, Austria, the Netherlands, Spain and Italy. During the second leg of the tour STAMINA had the honour to be the opening act for Danish band ROYAL HUNT in occasion of their 20th anniversary world tour. The band name STAMINA must have been burned into the audiences' memory on that day. Their third album is now in progress to release in this year.